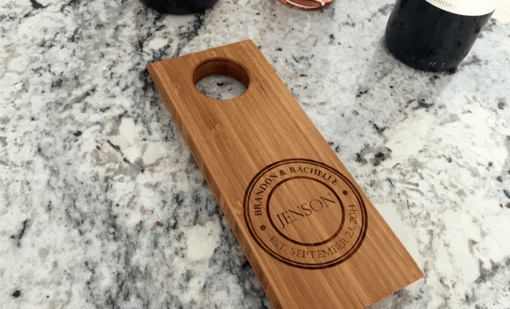 Introducing our all-new Personalized Wine Bottle Balancers! 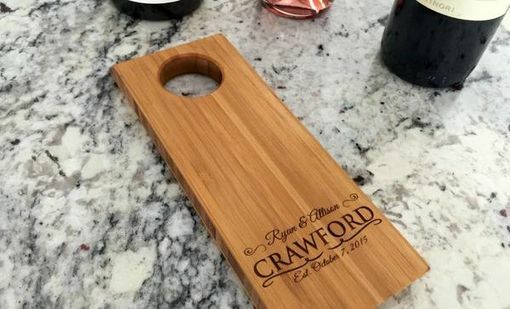 These are always an eye catcher, and a great way to display your favorite wine. 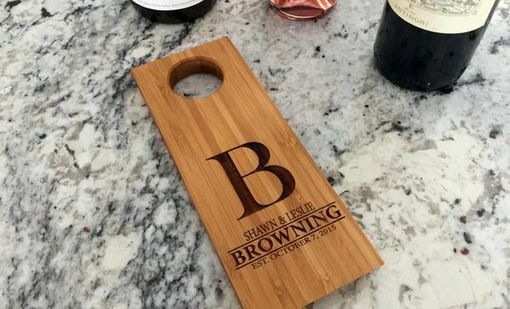 Whether it's your bottle from your wedding, or your favorite wine of the month, our balancers turn regular wine into a piece of art. 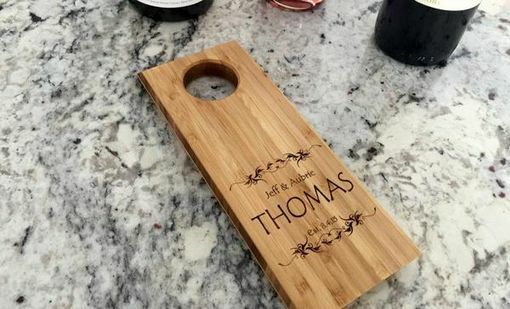 They are also made to tilt just enough to assure that the cork does not dry out. These make excellent wedding gifts, anniversary gifts, bridal shower gifts, housewarming gifts and an ideal family home décor accent piece. You'll especially want one for yourself! 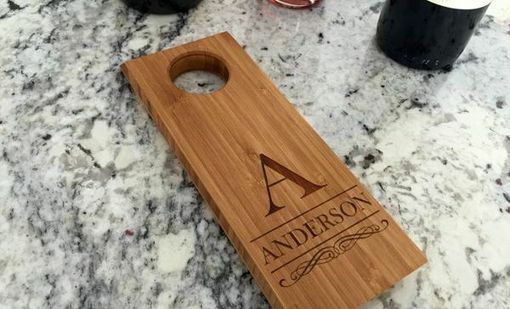 Since wine bottles vary in size, shape and weight, your wine bottle will sit in each one a little differently. Simply slide the bottle further in or out until you find the spot it balances best and you are set. Measures 9.75 x 3.25 x .75. 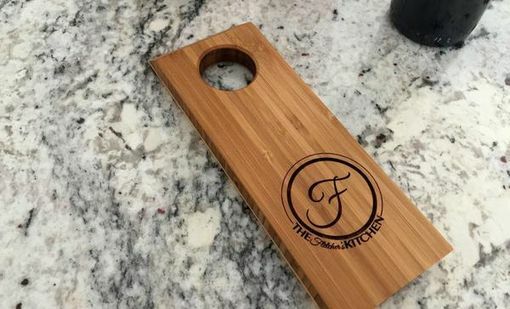 Made from 100% solid bamboo and personalized any way you choose.